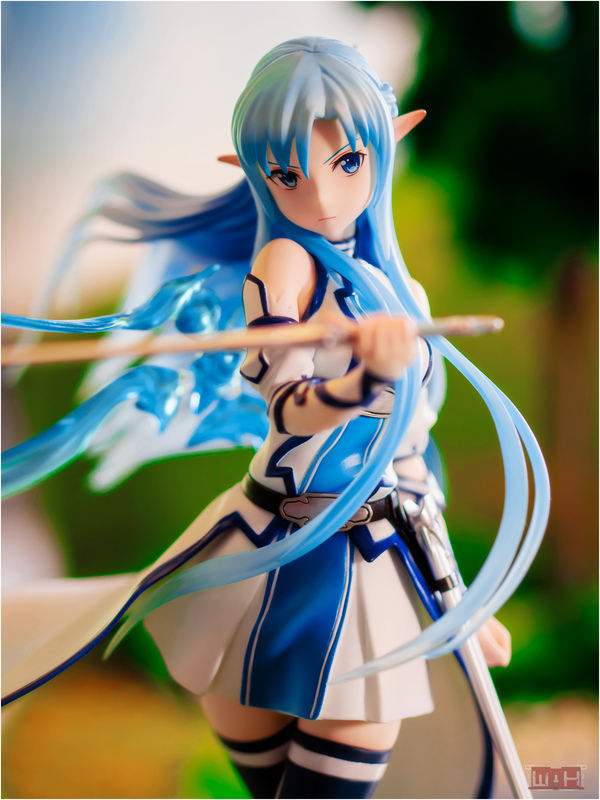 Today I want to show you how to give your PVC figures a new look. So the sleeves got shortened as well as the top itself. put the shirt on her. 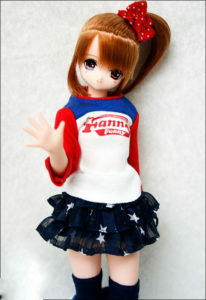 The clothes from AZONE EX CUTE line have a big assortment of nice real fibre clothes. 1/6 , 1/7 and non scale PVC figures around 20 cm in height. cup of tea, but in my opinion they look also very good on more adult looking figures. a bit wide so I would only recommend to use them only for 1/6 scaled figures. putting the clothes on the figure. 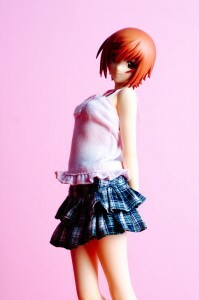 Unfortunately not every figure is able to wear real fibre clothes. May it be that the arms are too close to the body, the head is too big and so on. 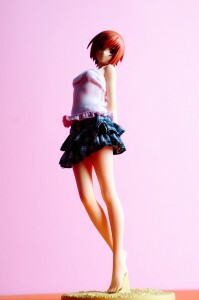 It works best when the figure have a cast off feature or havn’t much clothes at all. be seperated from the body, it makes things a lot easier. 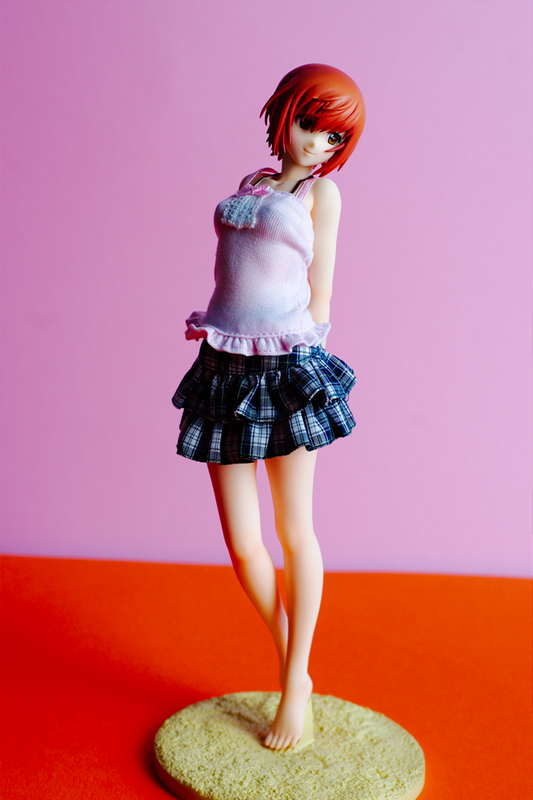 This idea with the clothes worked so well with Arisa that I dressed up some more figures. after some time., so I bought a blue striped hoody with a zipper for her. I took off the wings first , then the head, taking off the plastic top was a bit difficult. In the end the hoody jacket fitted perfectly on myTenchi-san’s body. and I couldn’t let her stand on my desk with just a bikini. to put the shirt over her shoulders. The wrinkles at the side could look better, but Im satisfied with it. bustline so changing the skirt was pretty easy, the skirt fits perfectly and wasn’t in need for modifiing. Whats your opinion? Do you think its a nice idea or does it seem to be a bit creepy to you?